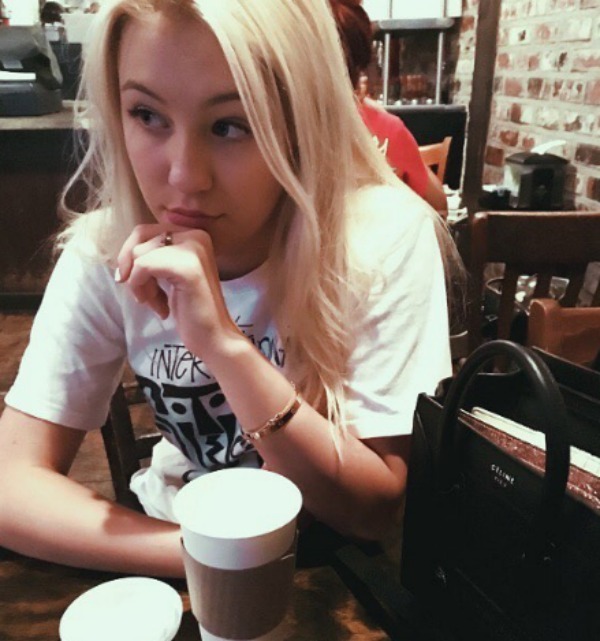 Ava Sambora obviously gets her striking good looks from her mother Heather Locklear. 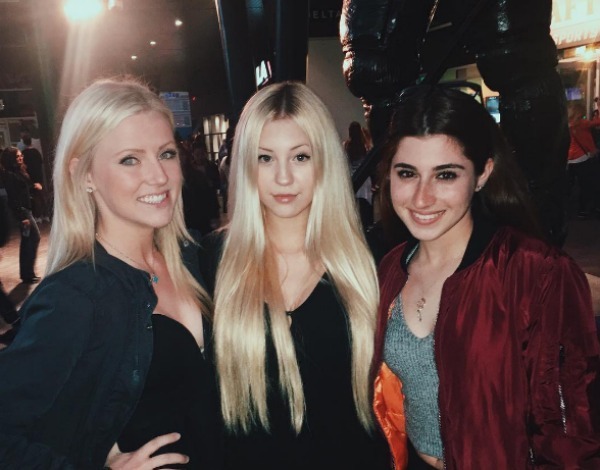 However, now that she’s 18-years-old, she’s stepping out of the “Heather Locklear’s daughter” role and beginning to build her own successful modeling career. The world recently took notice of her swimsuit modeling gig for the company Baes & Bikinis where she confidently frolicked by the ocean in Malibu and showed off her killer bod (and genetics). With parents as famous as Heather Locklear and Richie Sambora, it’s no surprise that Ava can rock the red carpet. Ever since she was a little girl, she attended red carpet events with her parents, including ones for her mother’s movie premieres and her father’s concerts. In this picture, an 8-year-old Sambora is seen attending the 2005 premiere of the movie The Perfect Man. Sambora has always supported her mom’s movies, but she’s also done her fair share of acting. In fact, Heather Locklear’s daughter made her big-screen debut as Wendy in the 2012 movie This Is 40. It was a debut that both Sambora and her mother couldn’t have been prouder of. Sambora’s father is none other than the popular Bon Jovi guitarist, Richie Sambora. But always being on the road doesn’t stop him from having quality time with his daughter. Sambora can often be spotted with her dad, either going out for a bite to eat or just catching up on life. They have one totally goal-worthy father-daughter bond. With a successful modeling and acting career in her future, it comes at no surprise to hear that Sambora is, in fact, taken. Based on a recent Instagram post, she is rumored to be dating Malibu resident Westy Perkins. 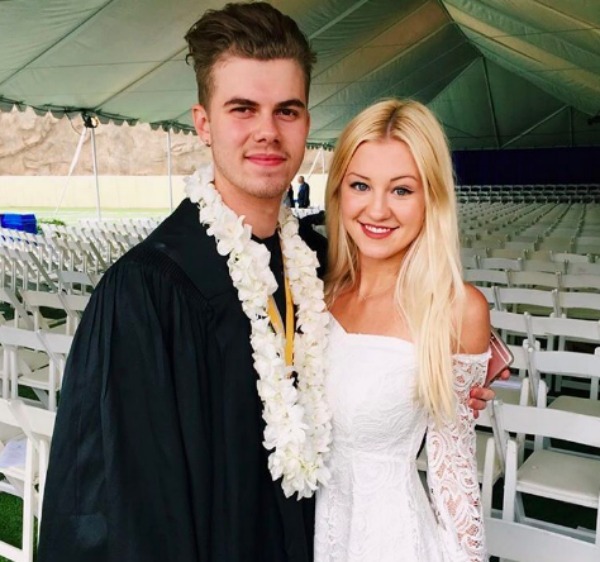 Sambora recently posted a picture of the two of them at his graduation, and it is too cute for words. Despite starting her college career at NYU, the rising star is currently attending Loyola Marymount University. In an interview with Teen Vogue from 2015, Sambora stated that she was headed to NYU initially so that she could study theater. “I want to be an actress, director and producer when I grow up,” she confidently shared with the magazine. And with a famous family and a college degree behind her, she seems to be well on her way to success. Having Sambora as your sorority sister would basically be a dream come true. Locklear’s daughter is a proud member of the sorority Alpha Phi at Loyola Marymount University, and has taken to Instagram numerous times to show her love for her sisters. 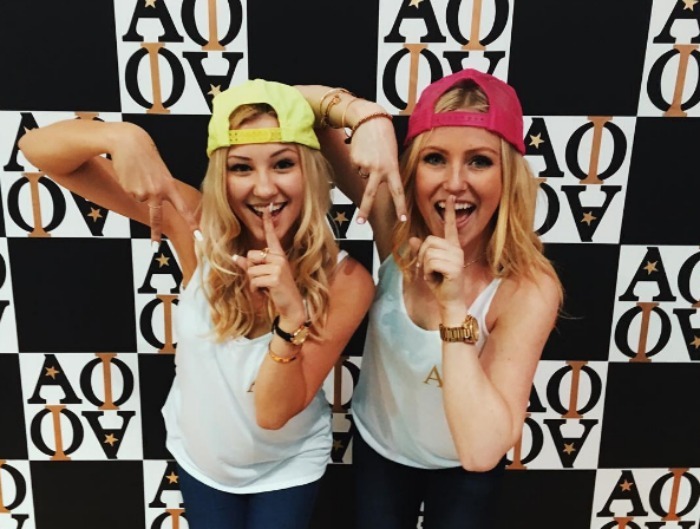 With Alpha Phi, Sambora is able to experience college just like any other student. Never mind the fact that her classmates probably all know who her parents are. Late-night coffee runs are a must for this up-and-comer. The hardworking college student and model seems to be a frequent Starbucks-goer. In her busy schedule, Sambora fits in a decent number of coffee runs and has some Instagram posts to prove it. But can you really blame her? Growing up, Sambora had a normal high school experience just like the rest of us. But school was more than just friends and studying. 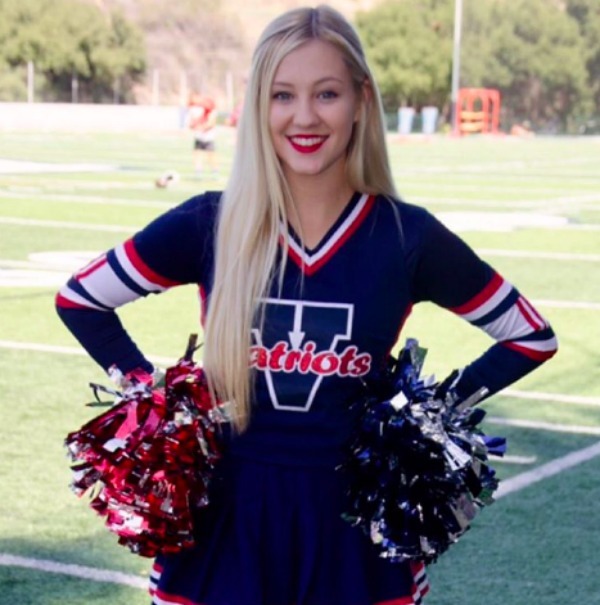 The up-and-coming model first started getting in killer shape by becoming a cheerleader for her high school football team. She proudly cheered on her fellow classmates, all while rocking her cheerleading uniform. Being a model doesn’t mean that burgers are off limits! Sambora happily posted a picture of herself eating a classic L.A. In-N-Out burger on her Instagram account. With a profound love of music, Sambora is a music festival-going model. And she sure knew how to rock her look at this year’s Coachella. I’m already on the lookout for what she’s going to wear next year!